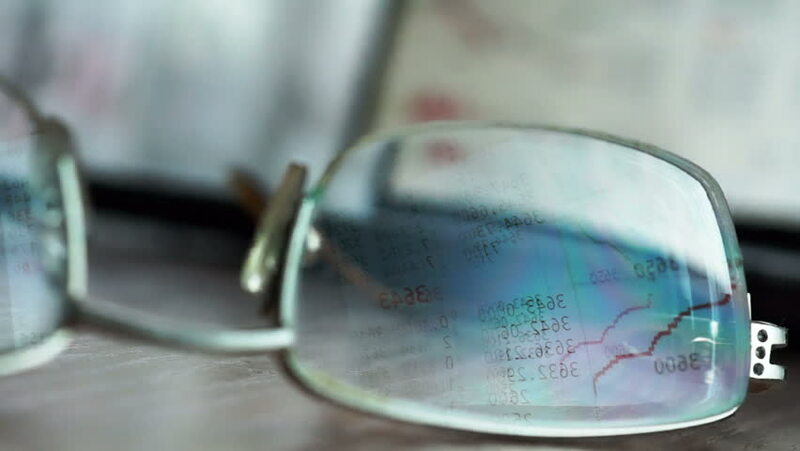 Reflection on glasses of stock market data from computer monitor. Online trading. hd00:12In a modern medical flask, chemical reagents are mixed. 4k00:18Aerial view of a freeway intersection Snow-covered in winter.